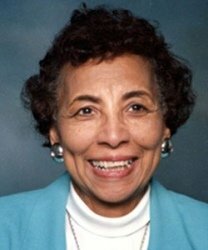 First African American woman elected to the Oklahoma House of Representatives (1968 - 1980). First African American female Committee Chairman of the Mental Health and Retardation Committee in the Oklahoma State Legislature (December 1972). This pioneering soror was appointed by President William Jefferson Clinton to the Board of Directors of the Oklahoma City National Memorial Trust. The Trust was established by an Act of Congress to develop a national memorial trust relating to all aspects of the April 19, 1995 bombing of the Murray Federal Building in Oklahoma City, Oklahoma.